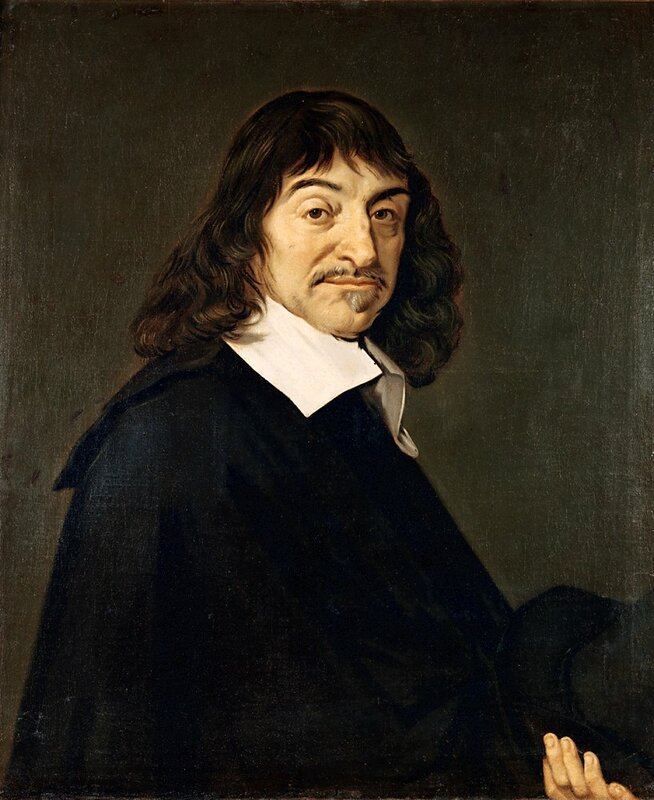 The Enlightenment advocated reason as a means to establishing an authoritative system of aesthetics, ethics, government, and even religion, which would allow human beings to obtain objective truth about the whole of reality. 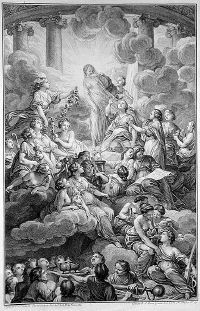 The Age of Enlightenment, sometimes called the Age of Reason, refers to the time of the guiding intellectual movement, called The Enlightenment. 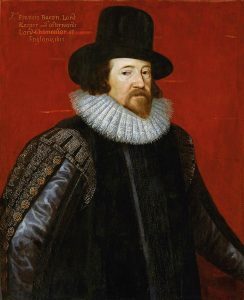 It covers about a century and a half in Europe, beginning with the publication of Francis Bacon’s Novum Organum (1620) and ending with Immanuel Kant’s Critique of Pure Reason (1781). From the perspective of socio-political phenomena, the period is considered to have begun with the close of the Thirty Years’ War (1648) and ended with the French Revolution (1789). Enlightenment thinkers reduced religion to those essentials which could only be “rationally” defended, i.e., certain basic moral principles and a few universally held beliefs about God. Aside from these universal principles and beliefs, religions in their particularity were largely banished from the public square. Taken to its logical extreme, the Enlightenment resulted in atheism. More radical than rational supernaturalism was Deism, which denied the necessity of revelation, by maintaining that after creating the universe, God does not interfere in its day-to-day runnings. Deists included John Toland (1670-1722) and Matthew Tindall (1655-1733) in England, Voltaire (1694-1778) in France, and Hermann Samuel Reimarus (1694-1768) and Gotthold Ephraim Lessing (1729-1781) in Germany. 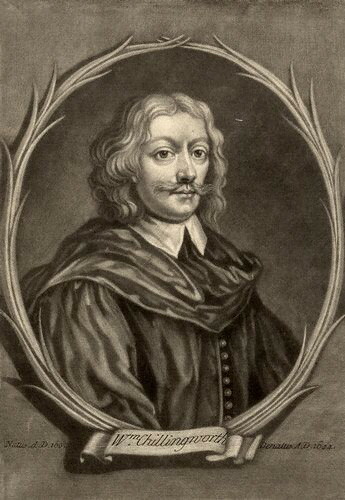 In his Christianity Not Mysterious (1696), Toland asserted that God’s revelation is not above reason, and attributed the mysteries of the Christian faith, allegedly originated from revelation, to priestcraft and paganism. Tindall’s Christianity as Old as the Creation (1730), which was regarded as the “Bible” of deism in the eighteenth century, argued that the universal “religion of nature” was already perfect and unalterable from the beginning when the world was created, like God is always perfect and unchangeable, and that historical revelation adds nothing to this religion. Tindall this way critiqued what he thought to be the unnecessary “superstitions” of the Bible and the church. Voltaire’s early deism was more quietly philosophical, but later in his life a few critical events, such as the execution of a Huguenot in 1762, led him to more polemically attack the institutionalized fanaticism of Christianity. In place of Christianity, he envisioned a new, practical deistic religion, according to which one has only to believe in one just God without any ritual and to practice virtue. Reimarus subjected the whole biblical history and Christianity to critical analysis based upon reason. In Germany, Johann Gottfried von Herder (1744-1803) reasserted the idea from Greek antiquity that language had a decisive influence on cognition and thought, and that the meaning of a particular book or text such as the Bible was open to deeper exploration based on deeper connections, an idea now called hermeneutics. 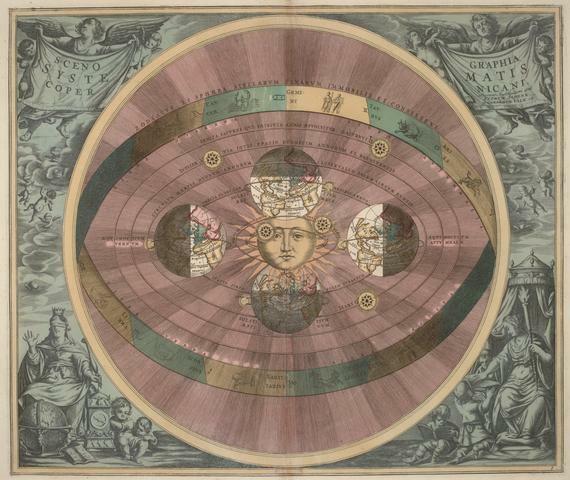 The heliocentric theory of Nicolaus Copernicus (1473-1543) started what historians call the “scientific revolution.” This scientific revolution, based on experimentation and reason, questioned previously held truths and searched for new answers. It modified the medieval view of the world and human beings’ relation to it. It thus helped shape the Enlightenment. The Enlightenment was a time when the solar system was truly discovered: With the accurate calculation of orbits, such as Halley’s comet, the discovery of the first planet since antiquity, Uranus by William Herschel (1738-1822), and the calculation of the mass of the Sun using Newton’s theory of universal gravitation. These series of discoveries had a momentous effect on both pragmatic commerce and philosophy. The excitement engendered by creating a new and orderly vision of the world, as well as the need for a philosophy of science which could encompass the new discoveries, greatly influenced both religious and secular ideas. If Newton could order the cosmos with natural philosophy, so, many argued, could political philosophy order the body politic. 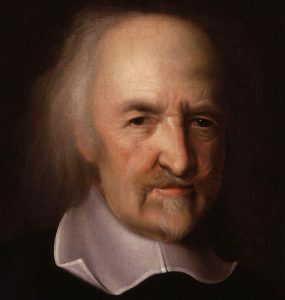 The seventeenth century saw the birth of some of the classics of political thought, especially Thomas Hobbes’ Leviathan (1651), and John Locke’s Two Treatises of Government (1690). They were basically against the notion of the divine right of the kings, according to which the king derives his right to rule from the will of God and not from any temporal authority, including the will of his subjects, the aristocracy, or any other estate of the realm, so that any attempt to depose the king or to restrict his powers runs contrary to the will of God. Hobbes argued that it is by natural law and contract that sovereignty is to be transferred to the king or monarch, because it is ultimately derived from the people and not from the divine right. 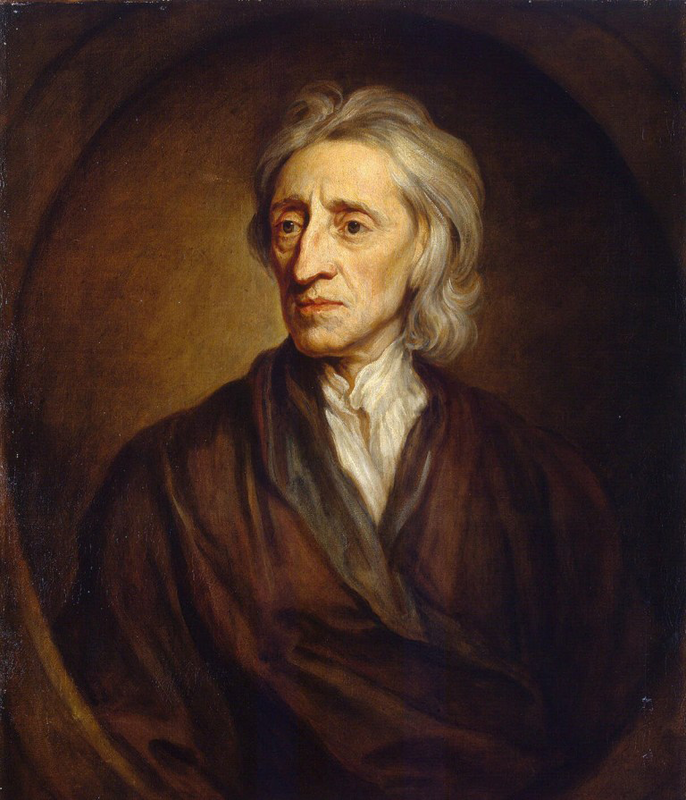 Locke proposed an even more democratic view, maintaining that the purpose of authority is to protect human equality and freedom. According to him, citizens agree to a “social contract” that places an authority over them, but if that authority ceases to care for their welfare, independence, and equality, then the contract is broken and it is the duty of the members of society to overthrow the ruler. His Two Treatises was published shortly after the Glorious Revolution of 1688, clearly reflecting the political fallout from that event. It had a decisive influence in the occurrence of the American War of Independence and the French Revolution and in the development of liberalism, democracy, and constitutional governments which followed. Other political thinkers include Montesquieu (1689-1755) and Jean-Jacques Rousseau (1712-1778). Montesquieu defined three forms of government: Republics, monarchies, and despotisms, and undoubtedly preferred republics where, according to him, the three governmental powers of legislative, executive, and judicial are to be separated. Rousseau’s Du contrat social (1762) presented his theory of the just state centering on the general will of the people expressed in the laws. During the age of Enlightenment, there was so-called “enlightened despotism,” a form of despotism where the rulers were influenced by the Enlightenment. Strictly speaking, these “enlightened” rulers were distinguished from the kings of the divine right in that the former embraced the basic principles of the Enlightenment such as reason and humanism. For example, Joseph II of the Holy Roman Empire (ruling 1765-1790) is said to have fully embraced the concept of social contract. Frederick the Great of Prussia (ruling 1740-1786), too, maintained the ideals of the Enlightenment, although he still permitted the practice of serfdom. In nineteenth century Russia, Alexander II adopted Enlightenment ideas and liberated the serfs. Eventually, even enlightened despotism was destined to be replaced in the course of history. Scotland benefited economically from the expansion of trade and commerce of the British Empire in the seventeenth through to the twentieth centuries. Many Scots served overseas in the colonial service and also engaged in commerce. Traditionally close ties to France from the pre-Union with England period helped to forge intellectual links with French thought. 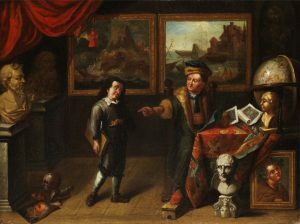 Scotland’s universities were less subject to ecclesiastical control than Oxford and Cambridge were, and a type of humanism flourished in the Scottish academy. Several writers, such as Arthur Herman and James Buchan, point to the high level of Scottish contributions to Enlightenment thought, represented by such thinkers as Francis Hutcheson (1694-1746), David Hume, and Adam Smith (1723-1790). 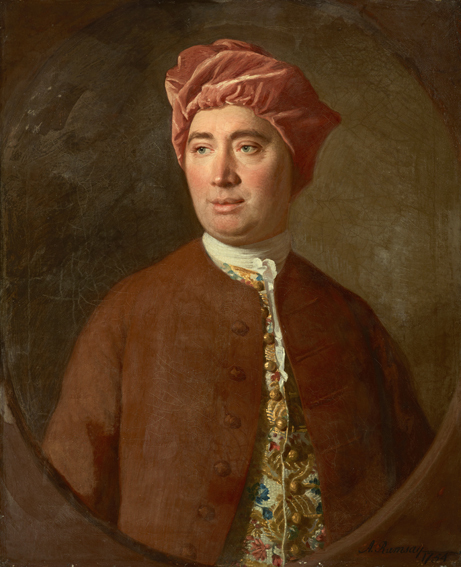 The concept of “free trade,” the mainstay of globalization as well as much of what came to be known as “scientific method” developed within the Scottish Enlightenment. Herman explores how Scotland’s 1707 union with England transformed the country from one of the poorest in Europe to an affluent and highly educated society, giving birth to the Scottish Enlightenment. In this view, the Enlightenment represents the basis for modern ideas of liberalism against superstition and intolerance. Influential philosophers who have held this view are Jürgen Habermas (1929- ) and Isaiah Berlin (1909-1997). This view asserts that the Enlightenment was the point where Europe broke through what historian Peter Gay calls “the sacred circle,” where previous dogma circumscribed thinking. The Enlightenment is held, in this view, to be the source of critical ideas, such as the centrality of freedom, democracy, and reason in a society. This view argues that the establishment of a contractual basis of rights would lead to the market mechanism and capitalism, the scientific method, religious and racial tolerance, and the organization of states into self-governing republics through democratic means. In this view, the tendency of the philosophes in particular to apply rationality to every problem is considered to be the essential change. From this point on, thinkers and writers were held to be free to pursue the truth in whatever form, without the threat of sanction for violating established ideas. In spite of its great contributions to the awareness of human dignity and the development of science, the Enlightenment apparently had its own limitations. So, from within the tradition of the Enlightenment, there emerged some notable critiques of the Enlightenment, such as Hume’s skepticism and Kant’s critical philosophy. 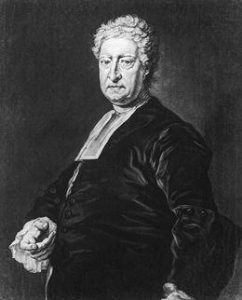 Hume’s thoroughgoing empiricism resulted in his skepticism about causality, thus destroying the rationalistic approach to God and the world. Kant decided that while pure reason may know the phenomenal world of causation, it cannot know God, freedom, and afterlife, which can only be postulated through faith in the moral sense of duty. This way, the claim of reason to sole validity in the Enlightenment started to decline. The French Revolution was a political outcome of the Enlightenment. So, its violent extremes (particularly during the Reign of Terror) fueled a major reaction against the Enlightenment, which many writers blamed for undermining traditional beliefs that sustained the ancien regime, thereby fomenting revolution. Counter-revolutionary conservatives such as Irish politician Edmund Burke (1729-1797), French Jesuit Augustin Barruel (1741-1820), and French writer Joseph de Maistre (1753-1821) all asserted a close link between the Enlightenment and the French Revolution, as did many of the revolutionary leaders themselves, so that the Enlightenment became increasingly discredited as the French Revolution became increasingly bloody. Burke’s Reflections on the Revolution in France (1790) was heavily spiced with hostile references to the revolutionaries as merely politicized philosophes. Barruel argued, in his best-selling Memoirs Illustrating the History of Jacobinism (1797), one of the most widely read books of its period, that the French Revolution was the consequence of a conspiracy of philosophes and freemasons. 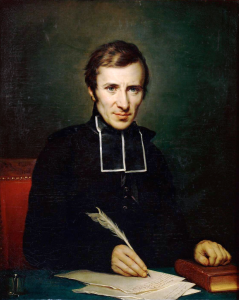 De Maistre saw the crimes of the Reign of Terror as the apotheosis and the logical consequence of the destructive spirit of the eighteenth century, as well as the divinely decreed punishment for it. With the long tradition of Lutheranism and Pietism in Germany, a fideist reaction against the Enlightenment emerged there. 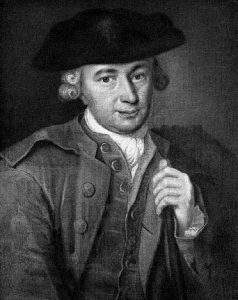 Johann Georg Hamann (1730-1788) maintained that reason is limited when people try to understand themselves and all existence, and that this limitation of reason leads them to feel that they are ignorant. Consciousness of ignorance leads to genuine faith. Hamann’s thought later influenced Søren Kierkegaard, the father of Existentialism. Another German fideist was Friedrich Heinrich Jacobi (1743-1819), who believed that super sensible realities such as God can be perceived by an intuitive feeling or faith, as distinguished from scientific reason. Rousseau’s romantic sentimental longing for nature was an influence for the emergence of a new movement called Romanticism around the end of the eighteenth century and the beginning of the nineteenth century, as an another reaction against the Enlightenment. It was especially in Germany that this movement, with its emphasis upon imagination, spontaneity, and passion, flourished in the fields such as literature and art. Johann Gottfried von Herder (1744-1803), Johann Wolfgang von Goethe (1749-1832), and Friedrich Schlegel (1772-1829) were among the well-known Romantics. Isaiah Berlin equates this German Romanticism with the so-called “Counter-Enlightenment.” The term “Counter-Enlightenment” was originally coined by German philosopher Friedrich Nietzsche (Gegenaufklärung in German) as he was speaking of it in passing at the end of the nineteenth century, but was popularized by Berlin in the twentieth century. 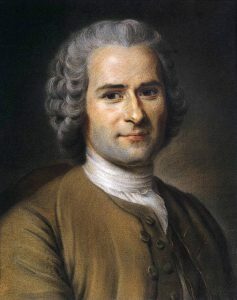 Graeme Garrard identifies Rousseau as the father of the Counter-Enlightenment, and even broadens the meaning of the term “Counter-Enlightenment,” by saying that there have been many Counter-Enlightenments from the middle of the eighteenth century to the twentieth century amongst various critics, both conservative and liberal alike, including postmodernists and feminists. S. H. Nasr expresses Muslim criticism of the Enlightenment as separating knowledge from value. Western science and technology, he says, is immoral because there is no concern with the consequences of progress, but focus only with progress itself. Science no longer serves humanity, but its own quest for yet more knowledge. 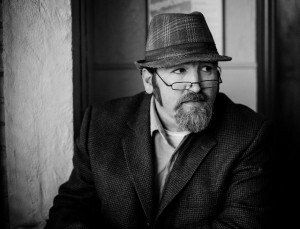 His basic critique is that reason became detached from “revelation,” and thus also from values. 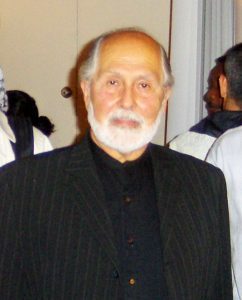 Other Muslims argue that while Western science, post-Enlightenment, places trust in reason alone, Islamic science places its trust in God’s revelation; Western science values science for its own sake, Islamic science regards itself as a type of worship; Western science claims impartiality, Islamic science claims a partiality towards what is true and beneficial for humanity; Western science reduces the world to what can be empirically verified, Islamic science admits the reality of the spiritual dimension. Of course, such a contrast sets up a caricature of Western science over and against a very ideal view of Islamic science, but it does represent a reasoned critique of post-Enlightenment assumptions. Nasr castigates contemporary Islamic fundamentalists for claiming that when they borrow Western technology that are retrieving what Islam gave Europe through Spain. Nasr argues that the West condemns as heretics the very philosophers from which they borrowed, while Western science also stands on a foundation which they reject, that is, the primary of reason over revelation. There are also Christians who likewise have criticized the Enlightenment. At the end of the eighteenth century, Christian thinkers such as Kant and Friedrich Schleiermacher (1768-1834) were actually appreciative of the Enlightenment, but at the same time, they were of Pietistic background. They were deeply aware of the tension of their Pietistic faith tradition with the humanism of the Enlightenment. So, they attempted to critically accept Enlightenment thought, by synthesizing both traditions. 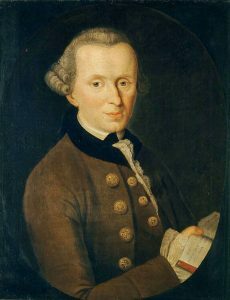 Kant came up with a religion of “practical reason” (not of “pure reason”) as a new synthesis of the two, while Schleiermacher decided that “feeling” (not “pure reason” nor “practical reason”) is the domain of synthesis. Their projects of synthesis set the tone of nineteenth century Christian theology. Today, many conservative and evangelical Christians see the Enlightenment tradition as a continued challenge to their faith. The tension of the two traditions still seems to continuously exist today. So, in the twentieth century Reinhold Niebuhr (1892-1971) called for “a new synthesis” of both traditions and Paul Tillich (1886-1965) for “new ways of mediation.” Also, “progressive” evangelicals such as Clark Pinnock, Stanlery J. Glenz, and Alister McGrath have been open to dialogue with the Enlightenment tradition. Arthur Cushman McGiffert, Protestant Thought Before Kant (London: Duckworth & Co., 1911). Arthur Herman, How the Scots Invented the Modern World: The True Story of How Western Europe’s Poorest Nation Created Our World and Everything in It (New York: Crown, 2001); James Buchan, Crowded with Genius: The Scottish Enlightenment: Edinburgh’s Moment of the Mind (New York: HarperCollins Publishers, 2003). Isaiah Berlin, “The Counter-Enlightenment,” in The Proper Study of Mankind: An Anthology of Essays (Farrar, Straus and Giroux, 2000). Graeme Garrard, Rousseau’s Counter-Enlightenment: A Republican Critique of the Philosophes (State University of New York Press, 2003). Graeme Garrard, Counter-Enlightenments: From the Eighteenth Century to the Present (Routledge, 2005). 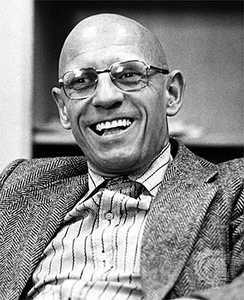 Michel Foucault, Madness and Civilization: A History of Insanity in the Age of Reason (Vintage Books, 1988). Max Horkheimer and Theodor Adorno, Dialectic of Enlightenment, tr. Edmund Jephcott (Stanford University Press, 2002). S. H. Nasr, Traditional Islam in the Modern World (London: Routledge, 1990). Clinton Bennett, Muslims and Modernity (New York & London: Continuum, 2005). 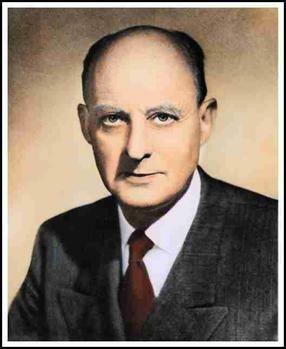 Reinhold Niebuhr, The Nature and Destiny of Man, vol. 2: Human Destiny (New York: Charles Scribner’s Sons, 1964), 203-12; Paul Tillich, A History of Christian Thought (New York: Simon and Schuster, 1968), 504-41. Bennett, Clinton. Muslims and Modernity. NY & London: Continuum, 2005. Berlin, Isaiah. 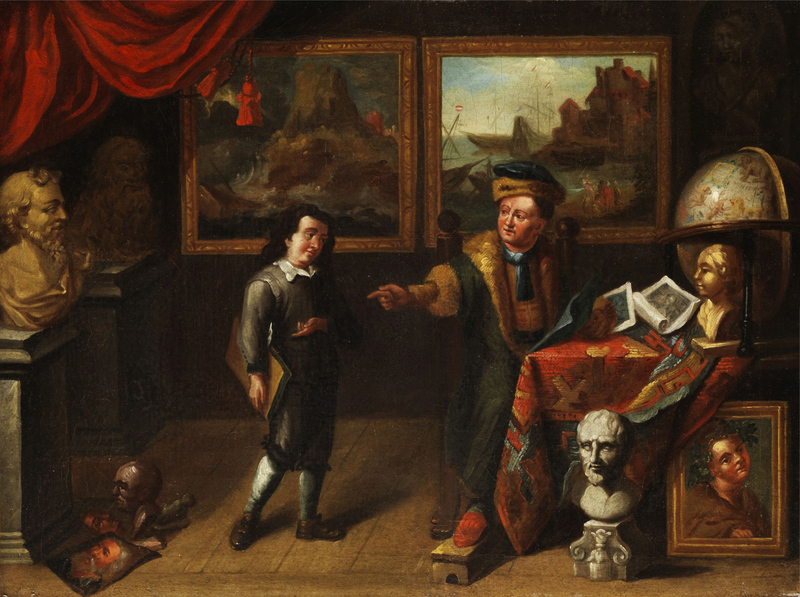 “The Counter-Enlightenment,” in The Proper Study of Mankind: An Anthology of Essays. Farrar, Straus and Giroux, 2000. Bronner, Stephen Eric. Reclaiming the Enlightenment. NY: Columbia University Press, 2004. Buchan, James. Crowded with Genius: The Scottish Enlightenment: Edinburgh’s Moment of the Mind. NY: HarperCollins Publishers, 2003. Cassirer, Ernst et al. The Philosophy of the Enlightenment. Princeton, NJ: Princeton University Press, 1979. Garrard, Graeme. Counter-Enlightenments: From the Eighteenth Century to the Present. Routledge, 2005. Garrard, Graeme. Rousseau’s Counter-Enlightenment: A Republican Critique of the Philosophes. State University of New York Press, 2003. Gay, Peter. The Enlightenment: An Interpretation. NY: W. W. Norton & Company, 1996. Herman, Arthur. How the Scots Invented the Modern World: The True Story of how Western Europe’s Poorest Nation Created Our World and Everything in It. NY: Crown, 2001. Hill, Jonathan. Faith in the Age of Reason. Downers Grove, IL: Lion/Intervarsity Press, 2004. Himmelfarb, Gertrude. The Roads to Modernity: The British, French, and American Enlightenments. NY: Knopf: Distributed by Random House,2004. Hulluing, Mark. Autocritique of Enlightenment: Rousseau and the Philosophes. Cambridge, MA: Harvard University Press, 1994. Jacob, Margaret. Enlightenment: A Brief History with Documents. Boston: Bedford/St. Martin’s, 2000. Louis Dupre, Louis. The Enlightenment & the Intellectual Foundations of Modern Culture. New Haven, CT: Yale University Press, 2004. May, Henry F. The Enlightenment in America. NY: Oxford University Press, 1976. Munck, Thomas. Enlightenment: A Comparative Social History 1721-1794. London: Arnold, 2000. Nasr, S. H. Traditional Islam in the Modern World. London: Routledge, 1990. Newbigin, Lesslie. Foolishness to the Greeks. Grand Rapids, MI: Eeerdmans, 1986. Niebuhr, Reinhold. The Nature and Destiny of Man. Vol. 2: Human Destiny. New York: Charles Scribner’s Sons, 1964. This entry was posted in Enlightenment, History, Philosophy, Reformation, Renaissance. Bookmark the permalink.